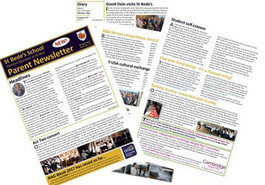 Our parents' newsletter is a vital link between school and home which is issued every fortnight via email. It contains important school information, interesting updates on the students' activities and trips and visits. If you have problems viewing the newsletter by clicking on the title (issue number) on the left (listed below), you can download it by clicking on the right hand download button. Clicking on the title (issue number) will enable a preview only and this may not be supported by your browser. If you would like to support St Bede's by sponsoring our parent newsletter, please send an email to info@st-bedes.surrey.sch.uk. 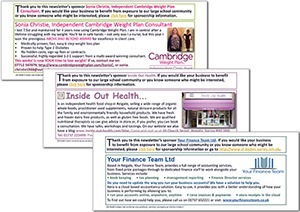 The sponsorship price is £50 (+ VAT) per issue of our fortnightly newsletter. St Bede’s is offering a space on the back page where you will be able to describe your business, include a logo and hyperlink to a website if available (please see previous sponsors on the newsletters below). This fundraising initiative is to support St Bede’s in its continuing efforts to manage the difficult financial situation it is facing and all funds go towards facilities for the students.